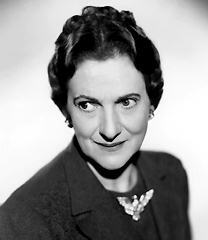 If it seems like Beulah Bondi played elderly women from the very beginning of her film career (at age 43), she did. Although she often played mother to some of classic Hollywood's biggest stars, her characters encompassed a wider range of personalities than one might imagine, and her talents earned her two Oscar nominations. "Theme" (clip) by Max Steiner from A SUMMER PLACE (1959) (a .MP3 file).